The number of migrant population is increasingly growing in the metros. Along with this, problems associated with migration are also escalating. The most notable problem is the education of the children of these people. Cyber city Gurgaon is also facing this problem and an estimated 1.5 lakh migrant children are still not enrolled in any school of the city. 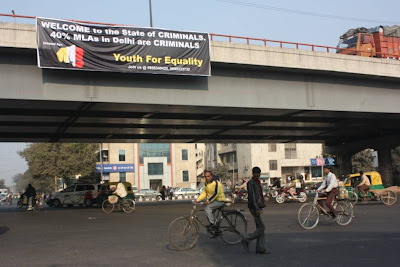 Most of them are occupied in different industries of the city and are increasing ‘child labour’ problem. To cater their needs, YFE Education Cell has taken initiative of opening a ‘primary school’ with the support of people of ‘Mullahera’ village. YFE volunteers started school on 5th January 2009. ‘Sarpanch’ of ‘Mullahera’ has given panchayat land to YFE for this noble cause and assured his full support. Survey has already been conducted to identify children in nearby slums and now they are coming for their regular classes. Besides our own volunteering efforts, retired school teachers are also providing their services to the school. 1) Most of the children are drop outs from government schools, so our main emphasis will be re-admission of these children in the neighborhood schools. 2) To retain children in school is our prime concern. Attendance should not drop significantly at any point of time. To attain this goal YFE volunteers will be visiting to their home place or slums fortnightly. 3) Check the progress of each child weekly and emphasize on all possible ways to provide good, quality education. We will update progress report of each child online at school blog for review. Our goal is put the children back into the formal schools as early as possible. 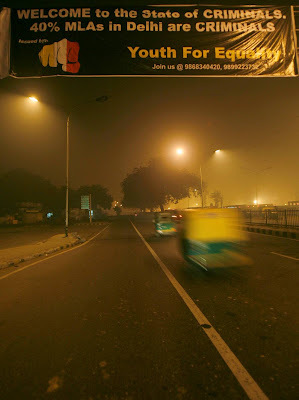 Blog http://yfe-school-of-excellence.blogspot.com/ is created to cover all happenings and objectives of school. ‘Service to mankind is service to god’ inspired by these words ‘Prayatna’ is been functioning at 'Nai Harijan chaupaal', near Gurudwara, Mullahera village, Gurgaon distt. For more details please contact YFE Education cell at any time. Terrorists are continuously attacking on our self dignity and we are watching them helplessly without doing anything against it. This helplessness is giving birth to new kind of slavery under the oppressors that are striking anywhere anytime. If we continue to be silent, then we have to face serious consequences for this inaction on our part. This is the time when we should show that we are united and we will fight for our country against all evils that are threatening the integrity and spirit of our country. What is required is public voice against terrorism, against government apathy towards terrorism, against our weak political leadership and against ourselves who have elected such people in the government. Raise our voice against terrorism and force government to act (no promises will work) against terrorism. Making police and public communication to make people know about their responsibility as a citizen to avoid terrorism attacks. Taking pledge to vote and vote efficiently. Public discussion on changes that needs to be done in security policy. Forcing government to close all international borders that have become easy route for terrorists. 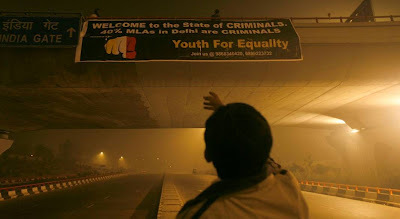 “Welcome to the State of Criminals. 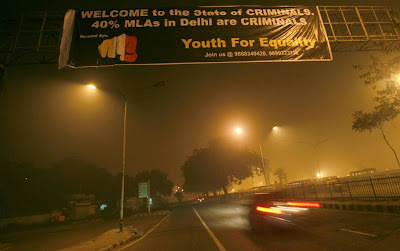 40% MLAs in Delhi are criminals”. 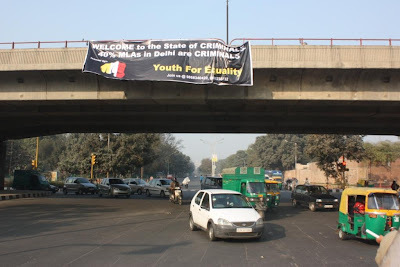 Youth for equality, the organization which gave India its largest non violent student’s movement against Caste based reservations in 2006 both on streets and in Supreme court is now throwing an open challenge to these casteist and corrupt politicians. 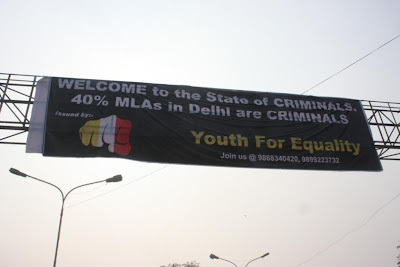 Our “40% MLAs are Criminals” Figure is backed by the proven Data and As a proof we have the copies of affidavits filed by these criminals in the election commission. 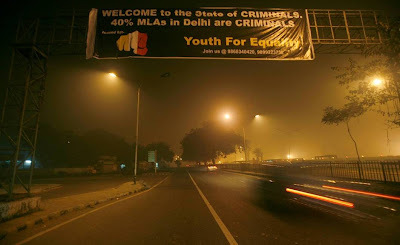 We have a clear stand Criminals are Criminals and will be called Criminals even if they are MPs or MLAs.